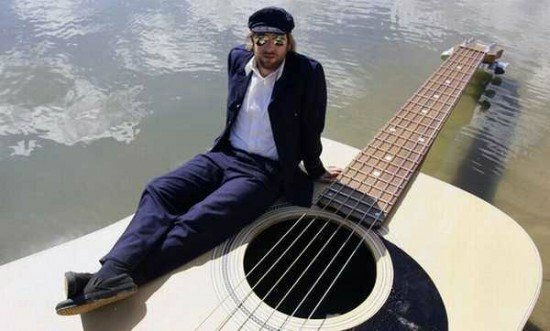 Last year we saw Josh Pyke the Australian singer-song writer sailing on his awesome Guitar boat in his album ‘Make You Happy’. He was seen sailing the giant guitar around the Sydney Harbour. Maton guitars created the SS Maton for the video. Josh has decided to auction this art of creation for the Indigenous Literacy Project. The majority of the share will go to the event “Busking for Change” which is in conjunction with the Literacy Project. 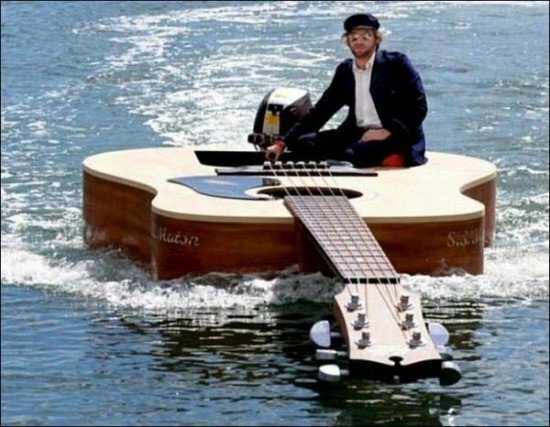 The singer says that the Guitar shaped boat was one of the reasons of releasing the album. And now its charm will go toward helping a cause he is passionate about. Well the boat was surely worth the price if it was made for such a decent cause. Have a look at the video of his album.